We have some exciting news! We’ve just launched a new website, yay! 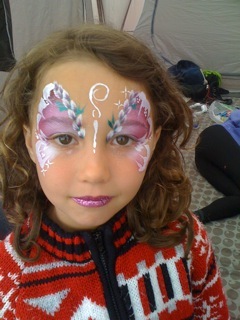 Pop over to www.thefairytalefair.co.uk to explore all it has to offer! Whilst we’ve loved this blog for 2 years we have outgrown it now, and needed a proper site to contain all our important information and such! Over 60,000 of you have now viewed this blog- so THANK YOU! We hope all our followers will pop over to our new site too. On the blog section you can also follow our blog just like you did with this one, just click on any post and enter your email in the sidebar promo! You’ll also see we’ve announced our Christmas dates! 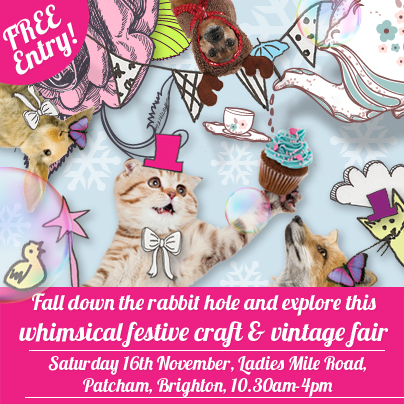 Join us on November 15th in our usual home of Patcham Methodist Church- over 35 stalls of festive goodies, craft workshops, vintage tearoom, face painting and much more! Applications open 1st September. Also announcing our big Christmas fair- The Fairy Tale Fair at Brighton Racecourse!! 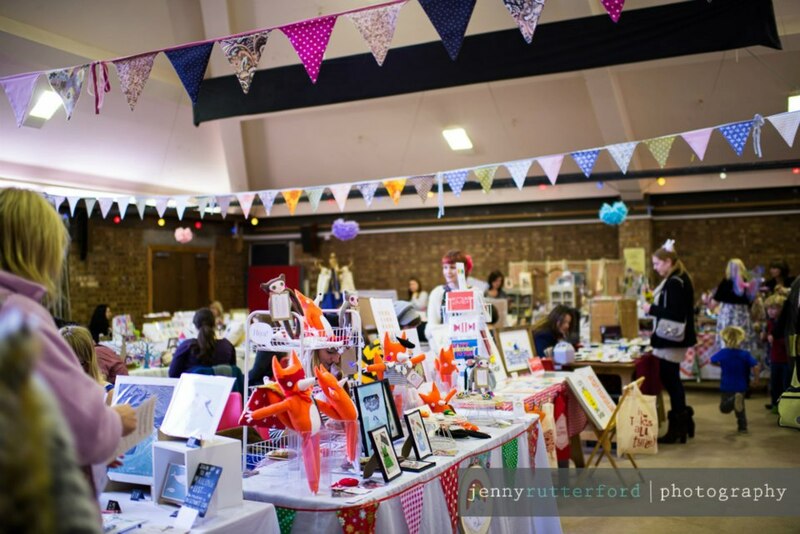 Over 100 stalls- this is going to be Brighton’s biggest handmade Christmas craft fair so not to be missed! Applications are now open! Click here to find out more and apply! Our fair is today!!! 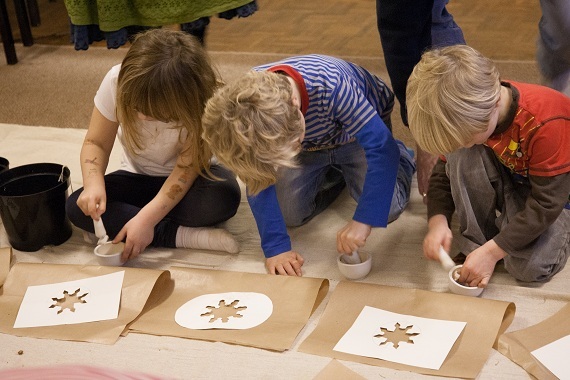 Join us from 10.30 – 4 at Patcham Methodist church for lots of craft-y fun! Please pop along and support our local sellers who have spent a lot of time getting the wares ready to sell for you today! Over 35 of them await- jewellery, ceramics, cards, prints, glassware, sewn creations, crochet, bags, cushions, knitting, felt creations, Easter gifts, accessories and much more! 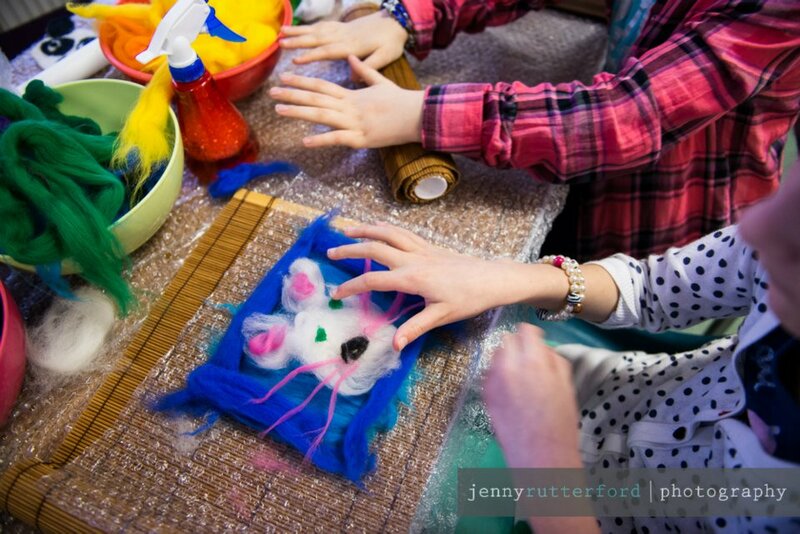 Plus don’t miss our craft workshops, for all ages: felt an egg or animal, polymer clay jewellery, giant knitting, beaded jewellery, make a felt finger puppet, or chalk painting! 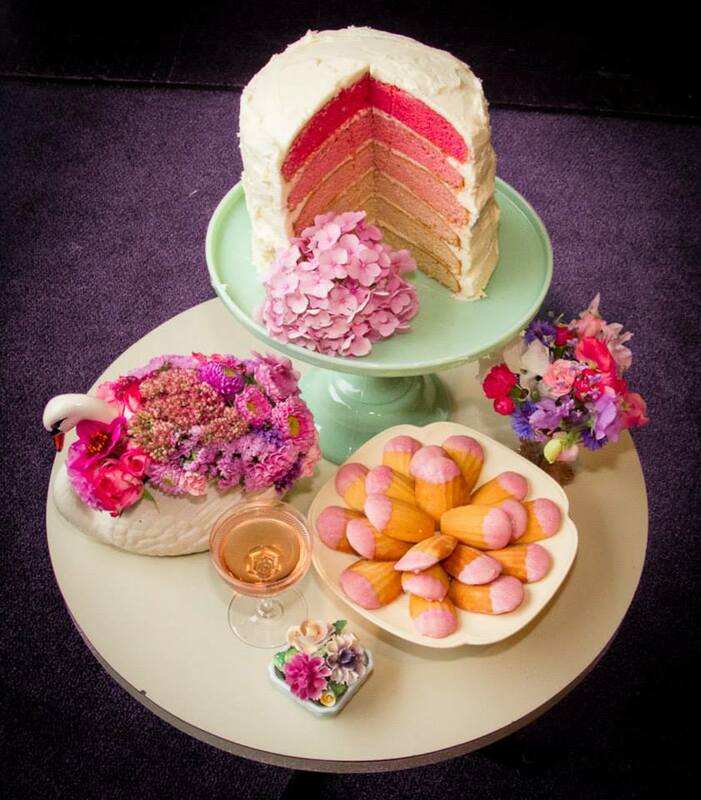 Also not to be missed our wonderful vintage tearoom run by Rosehip and face painting in the cafe area too! 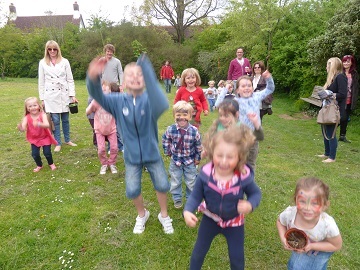 Bring the whole family along for a fab Spring day out for all! Hope to see you there! Click here for full address details. The big day is nearly upon us! 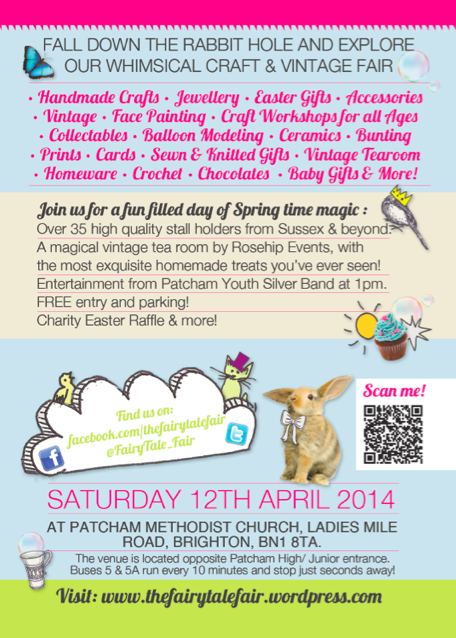 Remember to join us tomorrow from 10.30am at Patcham Methodist Church, Ladies Mile Road, Patcham, Brighton, BN1 8TA. There will be over 35 local craft and vintage stalls, a craft workshop room, charity raffle for The Martlets, vintage tearoom, face painting and much more! Don’t forget to join our Facebook event here, and invite all your friends! Click here for full location details. Buses 5 and 5A run every 10 minutes from central town and stop just seconds around the corner- ask for Patcham Clock Tower stop. FREE parking too! Look forward to seeing you all tomorrow! 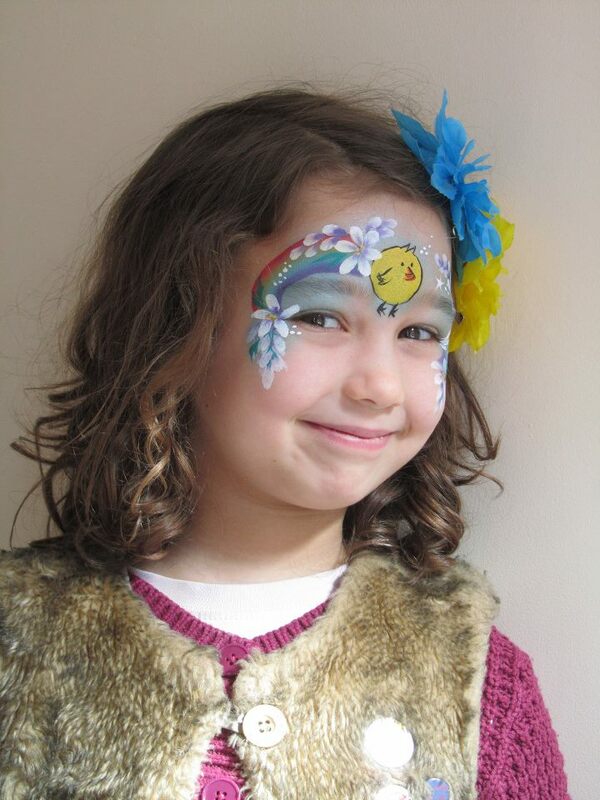 If you are bringing little ones remember they are welcome to dress up in their most sparkly fairy themed attire! 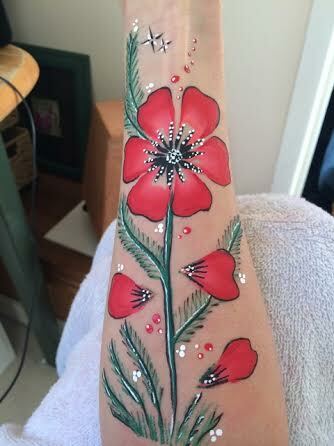 I’m Lisa from Celestielle Paint, I’m an award-winning Brighton based face & body artist. 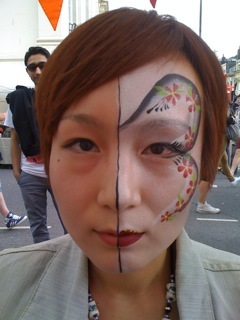 I provide high quality, professional face & body art for children & adults alike. How long have you been painting faces? I first started painting faces around 3 years ago. 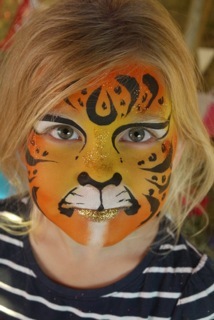 The first faces I painted were my children’s and I was immediately hooked! Before long, I was being asked by friends to paint at their children’s parties and it has snowballed from there! Honestly, I love it all, but the best part of the job is holding the mirror up to show the finished design and the huge beaming smile that follows! 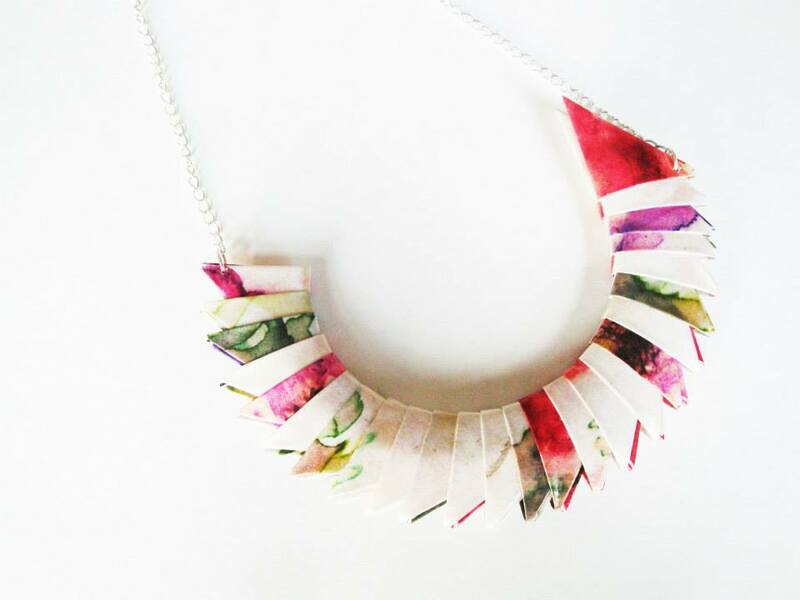 Will you have some special Spring time Easter designs on offer? 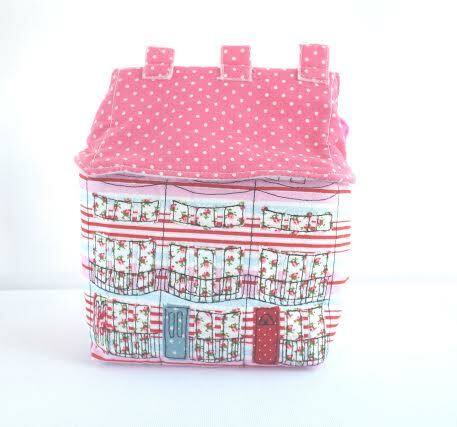 I have some very cute Spring designs which girls and boys love! Do you take part in other events (fairs, open houses, markets etc…)? Last year was a very exciting year for me – being accepted as a member of FACE – the Face Painting Association and being awarded Paintopia Face Painter of the Year were particular highlights. This year I will be taking classes with the World Face & Body Painting Champion, Matteo Arfanotti from Italy, which I am super excited about! Meet Stitch & Loop at Barties! We are Amanda and Claire, two firm friends who, 18 months ago whilst shopping in beautiful Chichester (we may have had a coffee and a cake or two in Carluccio’s…. ), decided that we were not getting enough ‘making’ time and that we would meet once a week, on a Thursday, to drink fabulous coffee, make fabulous things and dream fabulous dreams. We did this for a year and then decided that we should make this work for us and our fledgling business, Stitch & Loop, was born. In effect, we are a business that has arisen from a mutual love of making beautiful handmade products around our kitchen tables. What we enjoy most about our work is that we love our homes and derive great satisfaction from making beautiful things for them and for ourselves to wear. 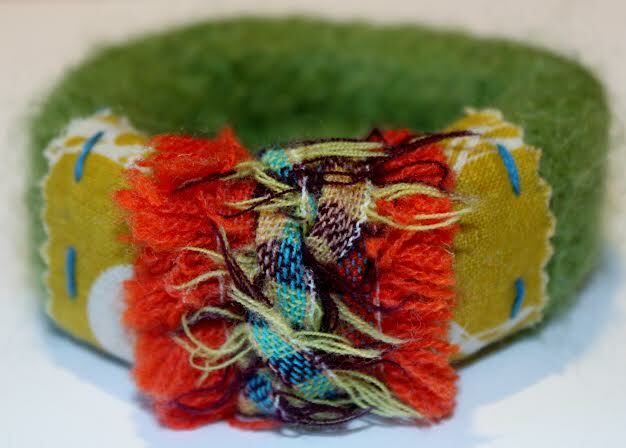 We both have a love of colour, texture and quality and are prepared to pay for good quality and impeccable style. In fact, it is this penchant for all things fabulous (Anthropologie being a particular weakness!) that has necessitated the launch of Stitch & Loop as a provider of the means to fund our shopping habits! We have sold at one other market over this Christmas period and stock three shops: Strawberry in Chichester, Rare Rabbit in Arundal and Vintage Rose in Storrington. Five words that sum up Christmas; well they would have to be: log fires, mulled wine, cosiness, snow and love. 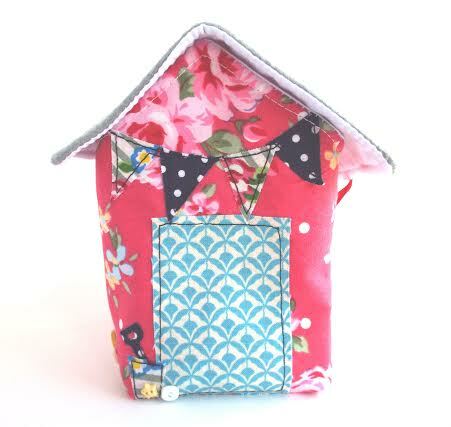 You can find out more about us from Twitter (StitchnLoop), Facebook (StitchandLoop) and our blog (loopystitching.wordpress.com). 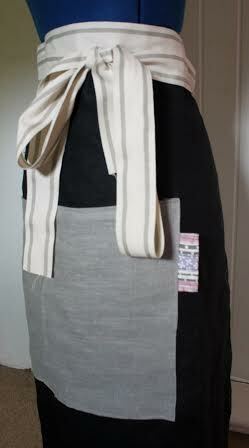 Our website will be up and running soon after the New Year too stitchandloop.co.uk). Meet Crowns from Ashes at Barties! My name is Natalie, creator of Crowns from Ashes. 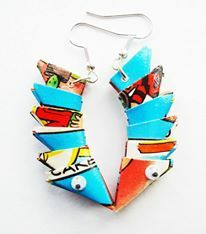 I create unique jewellery handmade from recycled materials such as comics, plastic bags & crisp packets. 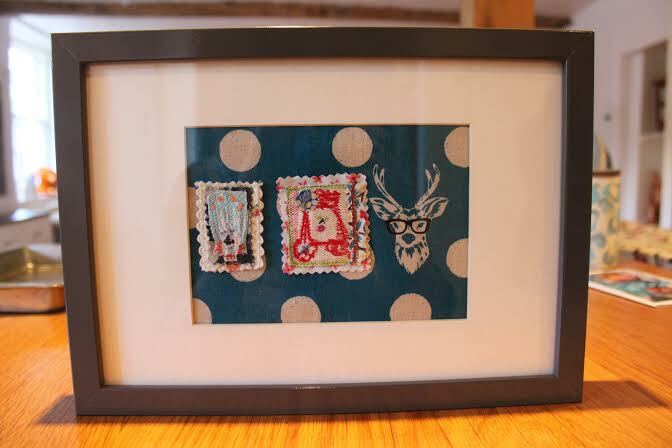 Are you looking forward to selling at Bartie’s and do you have some lovely festive gifts ready for everyone to buy? I am very much looking forward to selling at Bartie’s. My designs would definitely make original Christmas gifts. 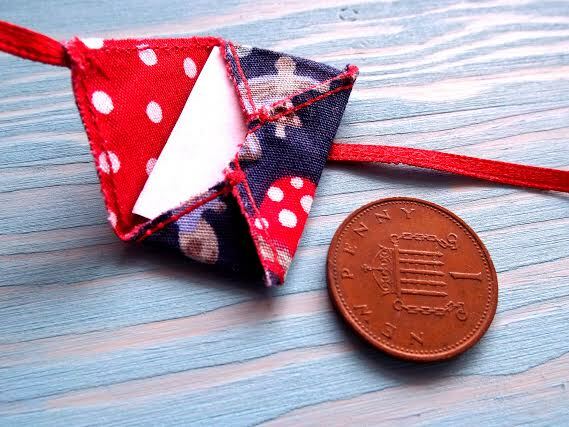 I will also have some cheaper sale items which would make great stocking fillers. I enjoy making each item individual. Almost all my designs are one of a kind so I see them all as having their own character. 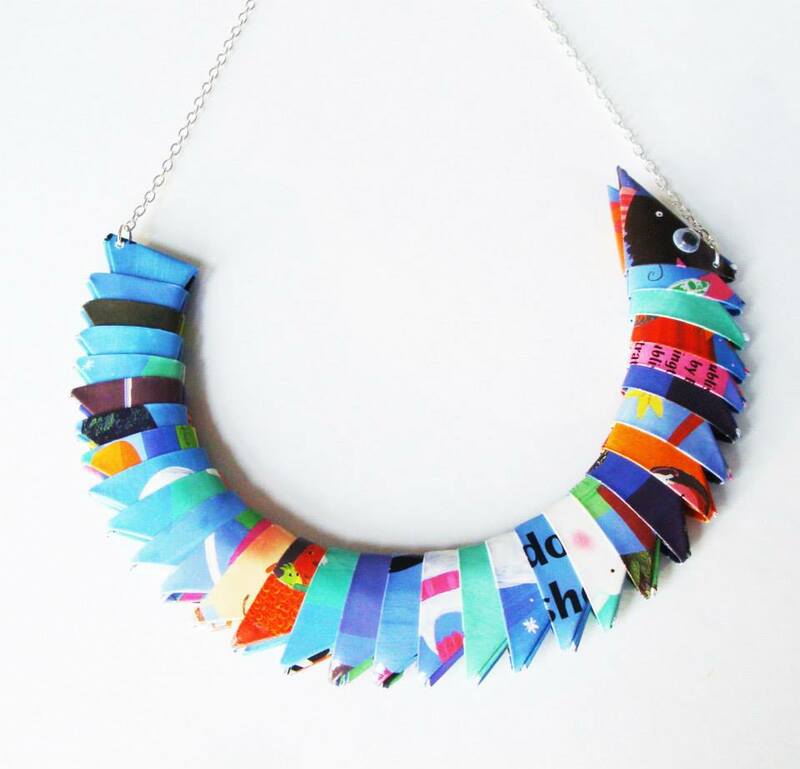 As I’m using recycled materials I work with what I have to hand so I get most excited about collecting and finding used materials that have interesting colours and patterns that I can work with. Are you selling at any other markets over the festive period? 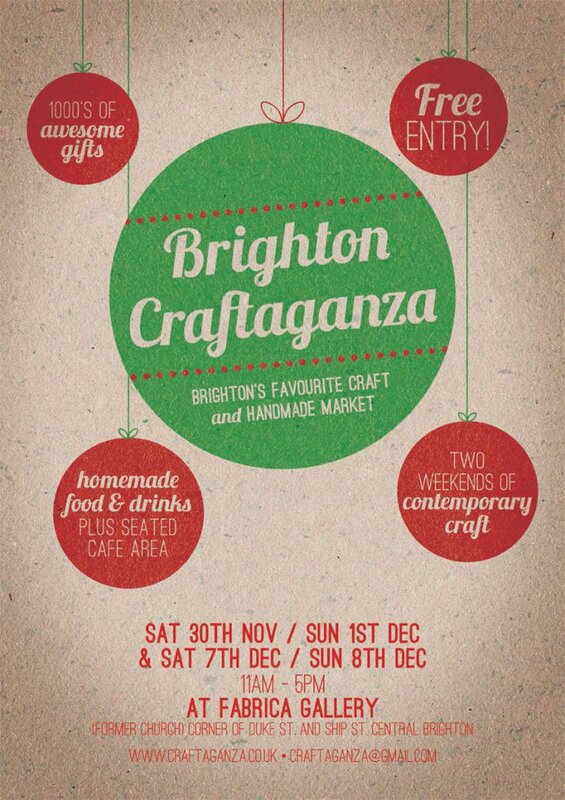 One of Brighton’s favourite craft and handmade markets is back, and bigger and brighter than ever before!!! 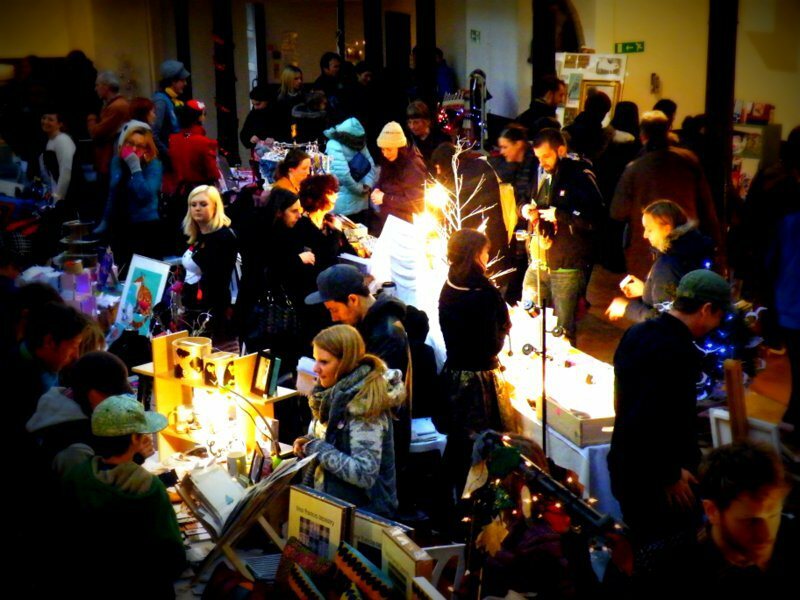 With a great selection of high quality, unique, contemporary products you’ll find in Brighton this festive season, come along to find a one-stop opportunity to hoover up all your Christmas presents! There will be a different selection of sellers on the two weekends so why not pop along twice?! 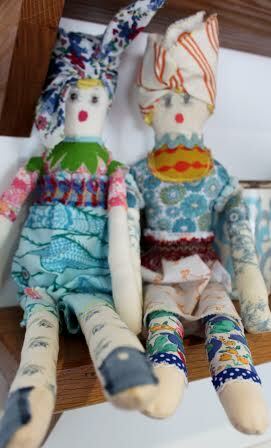 Make sure you pop along from 11am tomorrow and get your gets unique and handmade this yr! 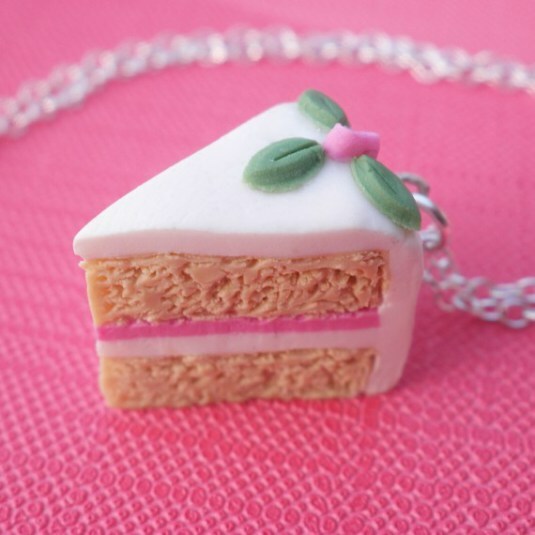 Sellers from The Fairy Tale Fair there this weekend include Cat-a-Cake creations, Kirstin Stride, Anna’s Drawing Room, Yellow Bear Wares and more! Well the months, days and hours have flown by once again and here we are just one day away from The Fairy Tale Fair- 16th November 2013. 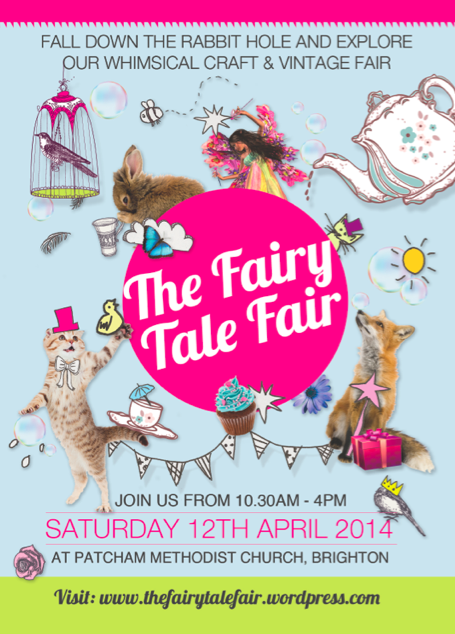 Today we will be busy putting the final preparations together for our fair to make sure it is a magical as possible! 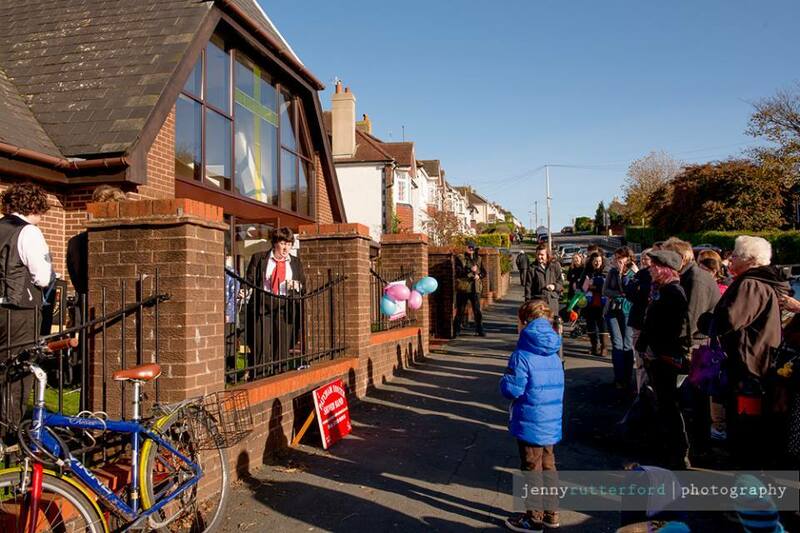 We can’t wait to see lots of you tomorrow from 10.30am at Patcham Methodist church, Brighton (full location details here). Over 35 craft and vintage stalls will join us with their wonderful handmade and hand designed creations, many of which make great, unique festive gifts! Please come along to support our local designers & makers who have worked so hard to get their creations ready for you to buy. 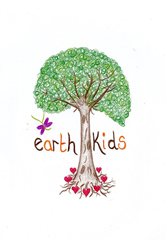 We will also have 6 craft workshops- suitable for all ages- from beads to polymer clay, to felt to letters from the fairies! Make sure you stop off in our vintage tearoom run by Rosehip, they have the most amazing festive menu on offer with an array of treats! See their full menu here. We also have more stalls in the entrance, a candy cart, and a charity raffle for The Martlets. 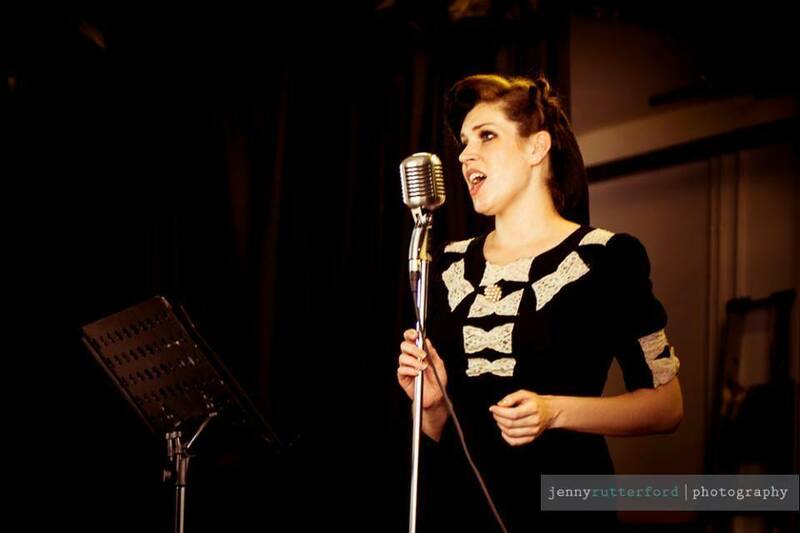 Finally there is lots to keep the whole family entertained too- face painting, balloon modeling, vintage singer Noelle Vaughan in our cafe, and Patcham Silver Band will be performing outside the venue at 1pm! So we can’t wait to see you all tomorrow! Bring the whole family- its going to be a wonderful day out! There is FREE parking too, and free entry! Buses 5/ 5A Patcham run every 10 minutes from town- ask for Patcham clock tower stop! IT’S GOING TO BE MAGICAL!!! Remind us about you and what you create? 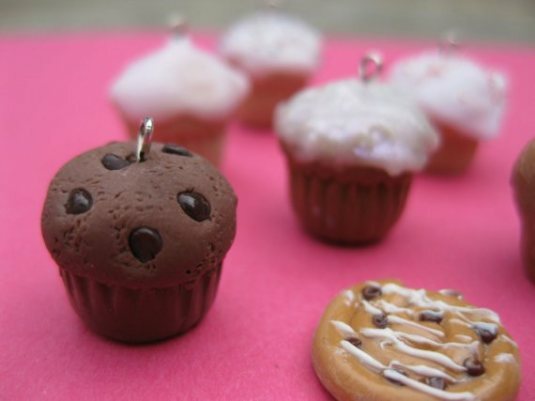 I’m Caroline and I like to model with polymer clay and especially to make miniature food. 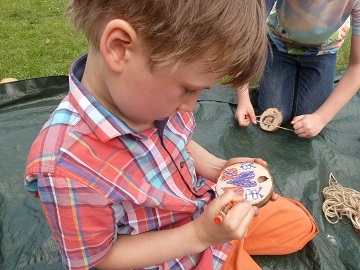 I also run workshops at which anyone can have a go at modeling and make their creations into jewellery or key rings. 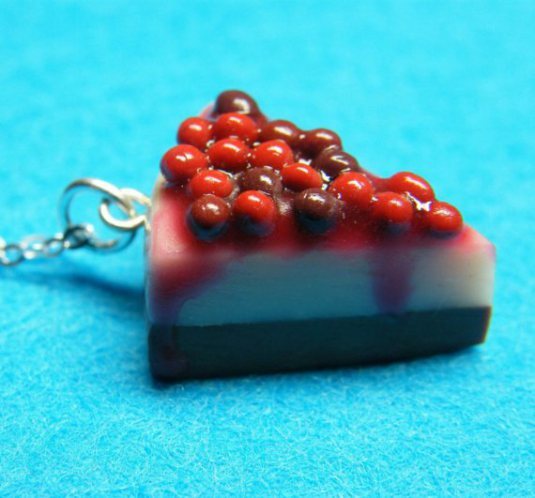 Will you be selling some special festive creations? Yes, I’ve recently been making gingerbread men, Christmas puddings and snowmen and I will have some of each to be decorated at the fair. 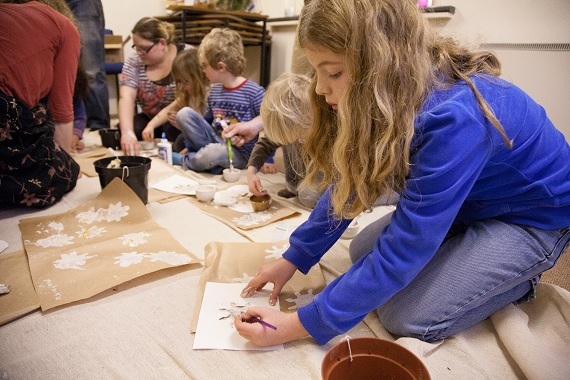 Will you be taking part in any other fairs over the Christmas period? 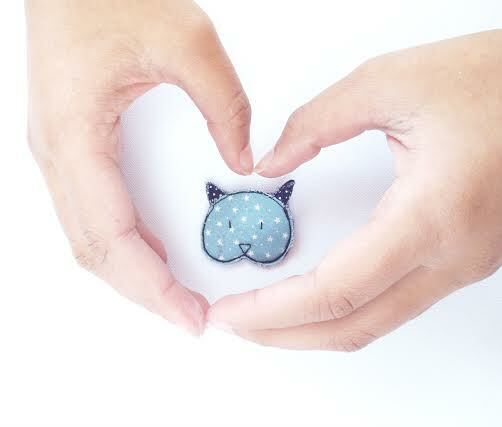 In December I have a stand at Craftaganza (at Fabrica) and the new We Made This market at the Friends’ Meeting House in Ship Street (details on my website http://www.minipatisserie.co.uk). 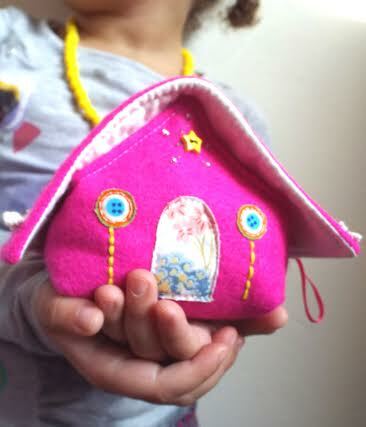 The Fairy Tale Fair is the only fair where people have the opportunity make their own presents at my stand to give others. Yes, I have run a workshop twice now at the Fairy Tale Fair. There has been a really good atmosphere each time and I’ve been very impressed by peoples’ creations. 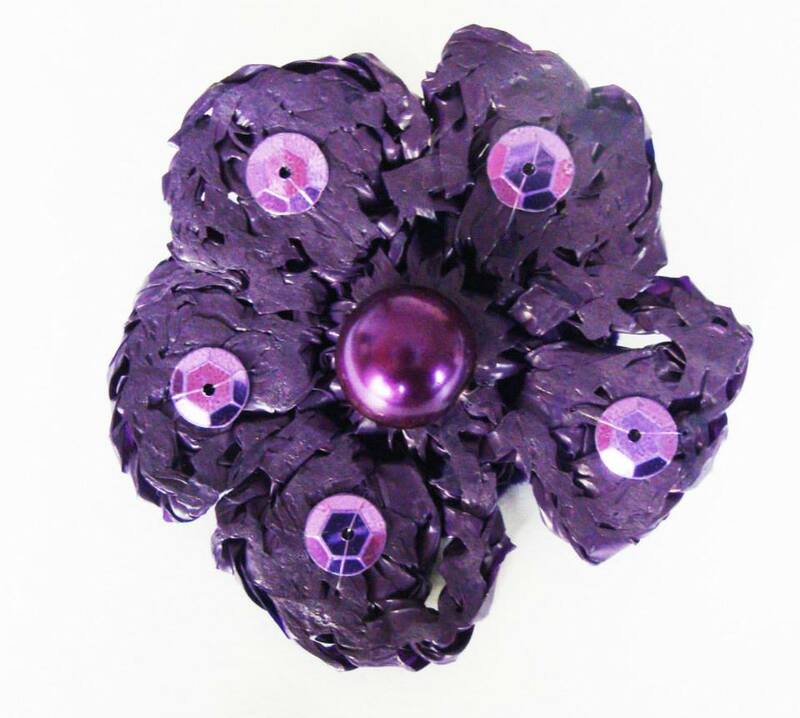 I am interested in working with precious metal clay so Santa, if you are reading this, you know what I would like for Christmas. Remind us about about you and what you create? 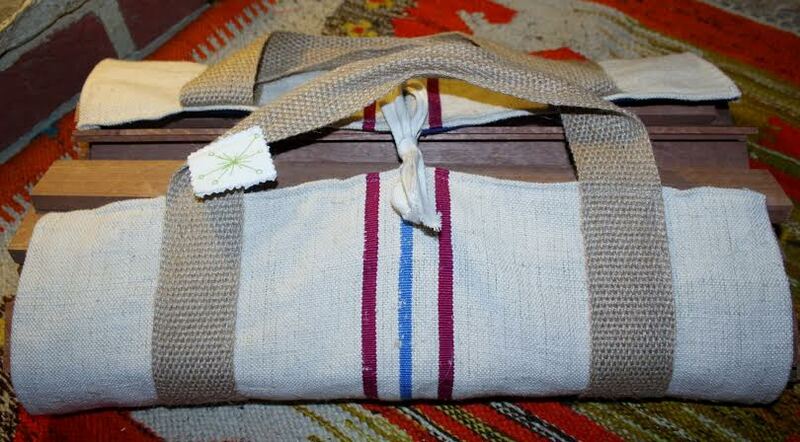 I taught Art/Textiles at the local secondary school for over 30 years and tried my hardest to sneak in, what was considered, the “old” craft skills. I taught the students to embroider, knit, crotchet, use bead work, patchwork and of course use the sewing machines to create appliques. This Christmas is going to be “Adopt a Cacti Christmas”. 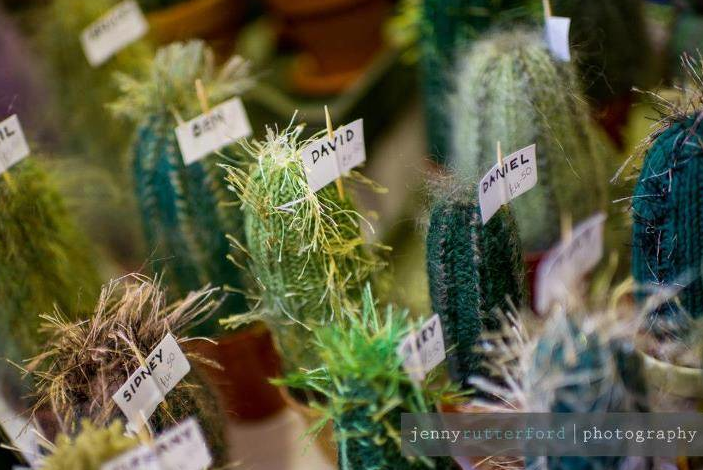 I have knitted some wonderful pet cacti that could be given to anyone as a gift – no care needed – just an occasional dust. 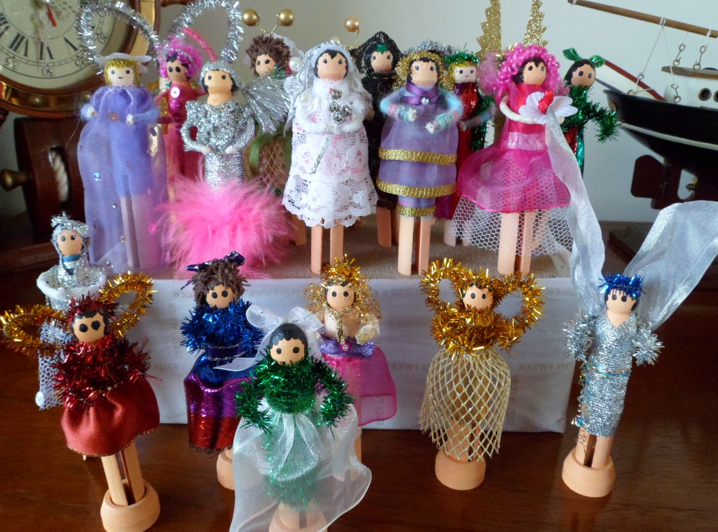 I have also bought back my glitzy peg dolls and made up peg dolly kits which would be fab for stocking fillers. 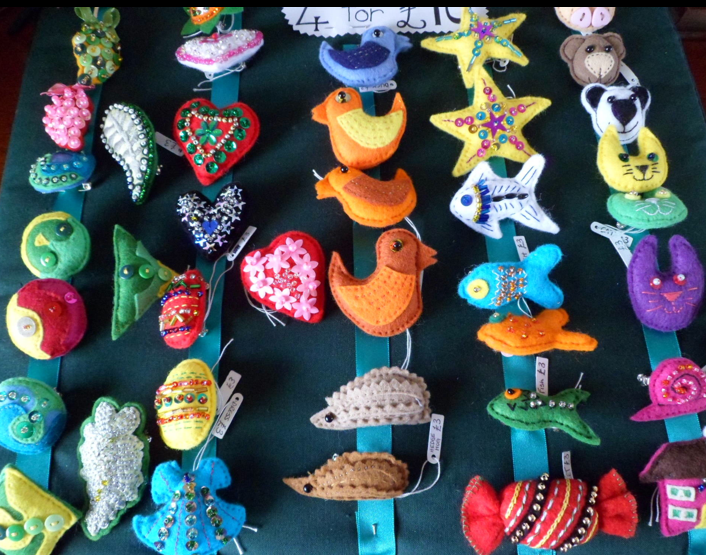 My animal badges have also returned with some hand sewn highly embroidered Christmas tree decorations for that special tree. I only work with Claire and the Fairy Tale Fairs. The fairs have a lovely warm and friendly atmosphere. The organization is spotless. The stalls holders and the visitors all appreciate the originality of the crafts on sale and I have received some very complimentary remarks about my work. The coffee, tea and cake work well for me too! I only craft for the Fairy Tale Fairs, friends and relatives. I just enjoy what I do with no pressures – heavenly. Warmth, contentment, family and pets.